Professionals with statistics and data analytics skills can work in any industry that excites them, solving problems that not only require specialized skills and training, but also imagination and creativity. In addition, data-centric professions are among the best careers available in today’s competitive job market. The ability to act on data lags far behind the ability to collect and store it, which is why data expertise remains in high demand. Analysts, data scientists and statisticians with master’s degrees can transform the way their organizations leverage data, making it actionable and applying it to a broad array of decisions. From helping governments reduce hunger to helping insurance companies establish viable rates, these professionals play a vital role across numerous industries and types of organizations. While not all statistics careers require master’s degrees, advanced education can help you be more competitive in the field. Even for some of the early-stage career paths available, most statistics professionals have at least a master’s. For example, Salary.com shows that 60% of users who hold the title Statistician I have a master’s degree. Advanced education becomes more essential for getting into analytics and statistics careers that revolve around creating complex models and algorithms. According to Burtch Works’ 2017 Predictive Analytics, Marketing Research & Data Science Salary report, 86% of predictive analytics professionals and 90% of data scientists hold an advanced degree. Additionally, earning a statistics master’s degree can help you maximize your earning potential, regardless of the career path you choose. According to PayScale, professionals with a master’s degree in statistics earn nearly 10 percent more, on average, than those with just a bachelor’s. Statistician degree programs at the master’s level offer extensive, hands-on experience with advanced statistical methods for modeling and making more accurate predictions. View the University of Delaware’s online M.S. in Applied Statistics curriculum page for more information about what to expect when pursuing a statistics master’s degree. Data experts try to answer questions by collecting, analyzing, and interpreting data to gain actionable insights. Their work typically involves using computer software to format, clean and manage the data their organizations collect for advanced analysis. From there, they may create models, make predictions, or look for trends that indicate opportunities or problems. The applied statistics and analytics fields have matured significantly over the past several years, and this has put more emphasis on data experts’ ability to communicate insights to leadership teams. They play an increasingly pivotal role in creating new business strategies as well as identifying ways to make operations more efficient. 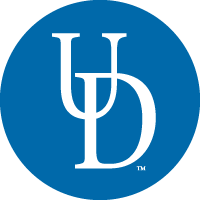 To learn more about the University of Delaware’s online Master of Science in Applied Statistics, fill out the fields below to download a free brochure. If you have additional questions, please call 844-247-6251 to speak with an Admissions Counselor.